Vending, Micro-Markets and refreshment services provider. Our individual coaching sessions, interactive group programs, and weekend intensive courses address all dimensions of human nature: intellect, emotions, body and spirit. Sandler Training by Bailey Marketing Concepts, Inc.
Southern California's most trusted graffiti abatement, graffiti solution and pressure washing company. 918 E. Santa Ana Blvd. K & M Shipping, Inc. 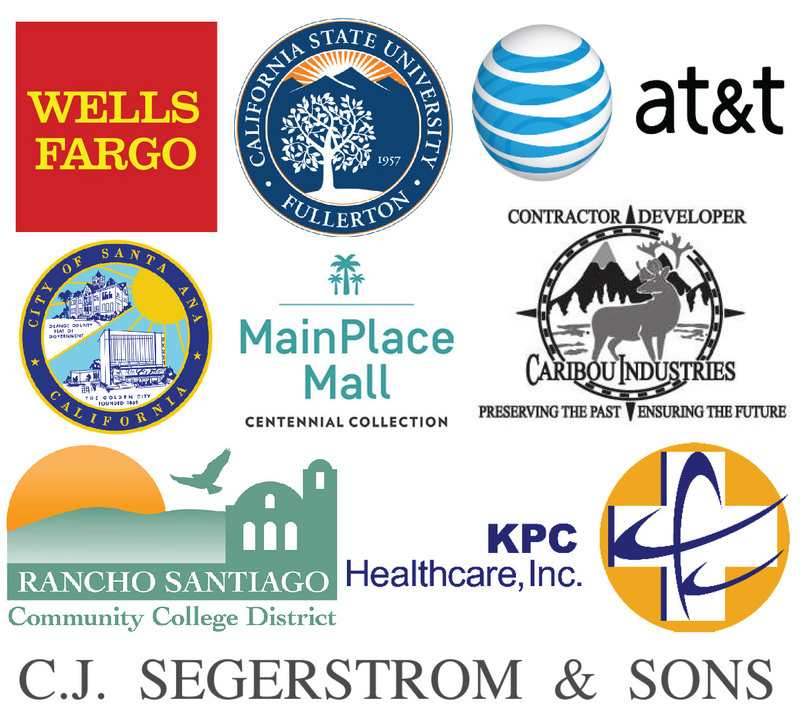 The Santa Ana Chamber of Commerce has a lengthy history as the leading, most active economic development organization in the central Orange County area for over 125 years. P & K Research is a dedicated market research company that pays people for their opinions. Dale Carnegie of Orange County has proven training techniques that give organizations real transformation. A leading provider of Human Capital Management (HCM) and workplace management software. An ethical marketplace where buyers and sellers trust each other. Veteran Owned Business, Business Document Set-Up, Tax Preparation, Notary Public, Legal Document Preparation, and Military Discounts.